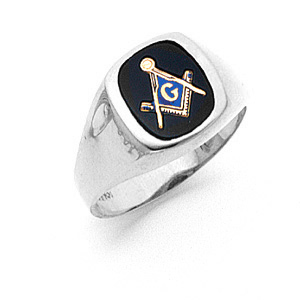 Solid or open back, polished 10kt white gold ring with Masonic compass and set square symbol. Choose red, blue or onyx oblong 12x10mm stone. Tapered smooth sides. Made in the USA.